LANSING, MI — “The Bridge Party” is dramatic stage play about the meetings of an African American women’s bridge club in the South that takes place in the 1940’s. 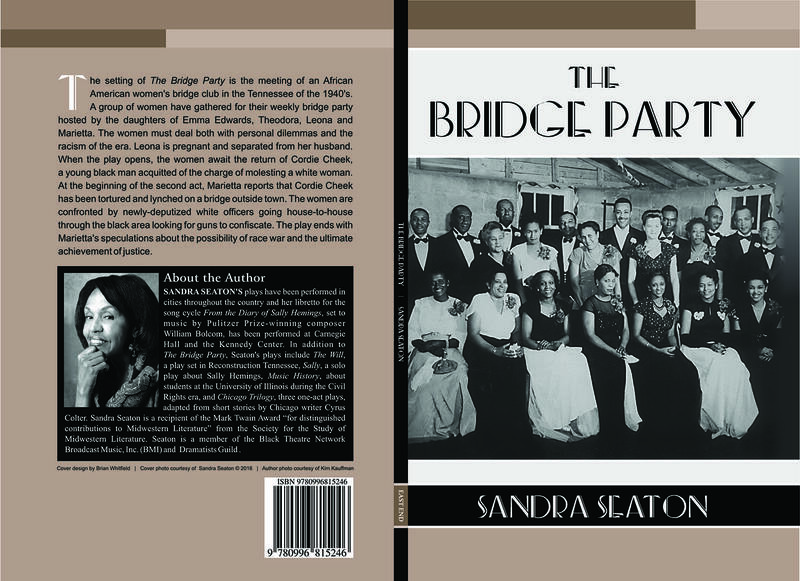 Originally written in 1988, The Bridge Party’s been performed throughout the U.S. Most notably in 1998, legendary actress Ruby Dee and actress/director Adilah Barnes appeared in The Bridge Party at the University of Michigan. What many people may not know is the playwright who penned this story is from nearby Columbia, TN. Sandra C. Seaton is the play’s award-winning writer and author who was born in Columbia but now resides in Lansing, Michigan. Ms. Seaton’s portfolio of diverse works includes 12 plays. But The Bridge Party was her first play. It tells the story of a group of women that gather for their weekly bridge party hosted by the daughters of “Emma Edwards,” “Theodora,” “Leona” and “Marietta.” The play dramatizes how these women deal with the racism of their era, while still maintaining their dignity and sense of self. Ms. Seaton says that she wanted to write a story that showcased the diversity of interests that African American women had during the eras of the 1930’s and 1940’s, but at the same time show the strength her characters had for their community during harsh racial unrest. Seaton shares: “I set the storyline of the play at a bridge club meeting. It was set at the time of the lynching of Cordie Cheek, who was a young African American man. Now, this didn’t all happen at the same time. I merged the events, and so aspects of the play recall the Columbia Race Riot. Sandra Seaton hails from a Middle Tennessee area family that has a rich legacy in education, religion and the creative arts. Several family members were graduates from Meharry, Fisk and Tennessee State Universities. Seaton’s great-great-grandmother, Eliza Wester, great-great-great-grandparents, Annie and Dempsey Cherry, were founders of Mount Lebanon Missionary Baptist Church in Columbia, Tennessee. The church was founded in 1843 and is still there today! Sandra’s aunt, Camille Howell, was an educator in Columbia. Randolph-Howell Elementary there in Columbia, is named after her husband. Like her family, Ms. Seaton is also a gifted educator too. She was a professor of English and creative writing at Central Michigan University in Michigan. But Sandra’s talents don’t stop at teaching and scriptwriting. She’s a gifted librettist who’s written the text for the opera “From the Diary of Sally Hemings,” a collaboration with Pulitzer Prize-winning composer William Bolcom. The production received top praises from the Washington Post newspaper. “I call it a ‘solo opera.’ It’s 45 minutes long but it’s for one voice and piano,” shares Seaton. The opera’s been performed around the country, and this past January was performed at The Kennedy Center. Sandra cherishes her visits back to the Middle Tennessee area. She will be one of several prolific speakers at the Nashville Chapter of the Les Gemmes 10th Annual Literary Luncheon on Saturday, February 25 at the Airport Marriott Hotel. Currently, Ms. Seaton’s written three one-act plays called “Chicago Trilogy.” This production will be performed in Chicago later in the spring.